When German immigrants settled in Missouri in the early 19th century, the wine industry started to flourish in this Show Me State. During this time, Missouri produced more wine than any other state. Until today, Missouri has more vineyards and wineries. Branson boasts several unique wineries that offer tours, wine tastings and retail options for visitors to enjoy. Some of the wineries in Branson include Curling Vine Winery, Stone Hill Winery, Mount Pleasant Winery, and Lindwedel Winery. Curling Vine Winery is one of Branson’s most popular attractions offering visitors tours and wine tasting since its opening in 1986. Visitors to this winery can taste the popular Norton red with its dry, full-bodied flavor of fruit and oak. For visitors who prefer white wines, they can sample varieties such as the Vidal Blanc, the dry wine with its crisp, lights and fruity flavor of oak and spice. You can also opt for the semi-sweet Golden Rhine, made from fermented Catawba grape to preserve the fresh fruit aromas and flavors. You can also taste a variety of sparkling wines, from Brut Rose to Spumante Blush or Golden Spumante. Established in the quaint town of Hermann by German immigrants in 1847, Stone Hill Winery is one of the most romantic, flavorful, relaxing, and entertaining wineries in Missouri where you can experience a memorable trip. As one of Missouri’s top tourist attractions, the winery is listed on the National Register of Historic Places. The facility of Stone Hill Winery in a 13-acre property that consists the main building built in 1869 features a commanding view of the town, 165-year-old arched cellars, a gift shop, restaurant, and state-of-the-art production facilities that can produce over 260,000 gallons of wine. The vineyards of Mount Pleasant Winery was founded in 1859 growing 12 grape varieties on 78 acres in Augusta, Missouri. The winery opened its Branson location in 2008. The facility features a tasting and bottling experience perfect for wine connoisseurs of Missouri. 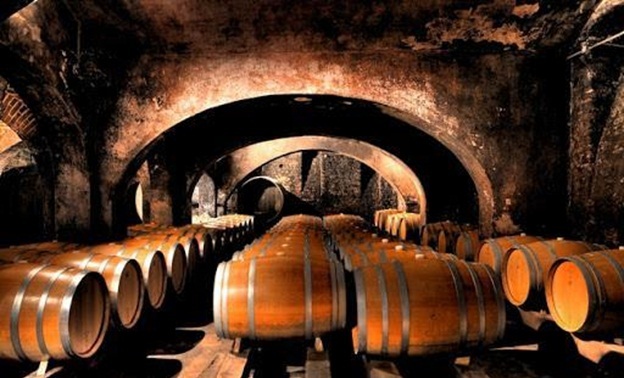 Patrons of the winery can choose from a number of the winery’s award-winning wines and even bottle their own using a specially-designed 600-gallon French oak barrel. Mount Pleasant Winery also offers a Wine 101 class, where guests can learn the art of wine tasting and appreciate the wines from different winemakers. At the end of the class, visitors will receive a complimentary Mount Pleasant wine glass as souvenir. Your Branson wine tour will not be complete without visiting the Lindwedel Winery. The wines at Lindwedel Winery are produced in a separate 15-acre location just west of Branson. This winery also offers visitors free wine tasting with the chance to relax with their favorite varieties of delicious snacks. Lindwedel produces 12 varieties, all made from Missouri grapes shipped fresh to the winery. Lindwedel Winery doesn’t offer tours to its winemaking facilities, but its wine garden and surrounding property is available for parties, reunions, and weddings. Wineries in Branson are some of the best places to visit where wine connoisseurs want to take a wine tour and taste their wines.